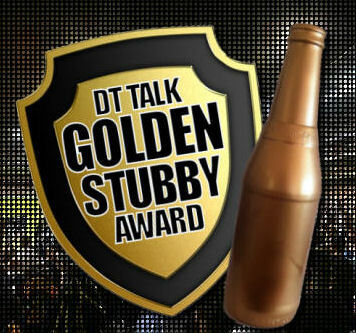 Round 4 Golden Stubby nominations are in! Who deserves the coveted award between Brent Stanton, Grant Birchall, Brett Goodes, Dane Swan and the talk of the DT town, Justin Westhoff? Vote now! Tom Liberatore – 115 – Little Libba let down a lot of coaches last week after they brought him into their mids following consecutive scores of 120 to start the season but his 46 was quite disheartening. He seems to have bounced back again this week, once again supplementing his score with intensive tackling. Brent Stanton – 130 – Stanton and Reliable rarely go work together in the same sentence. But with him yet to score under 100 and his latest score pushing his average to 124 he has really rewarded the coaches who took the chance to start with him. Grant Birchall – 151 – Birchall was absolutely everywhere against Fremantle. Racking up 37 disposals, linking up for plenty of kick/mark combo’s and even sneaking forward for a goal. It’s getting very hard to find a way to fit this expensive def into our side as his price just keeps rising. Well done if you already had him! Brett Goodes – 115 – Goodes is what this award is all about. With many of our teams scores looking quite sad coming into the final games of the round, Goodes jumped up and dragged our score into a more respectable zone. The first year, mature age recruit had a below average score last week but more than made up for it this weekend. Dane Swan 130 – I saw a lot of coaches doubting Swan when he was he started a bit slower than his team mates. Talking about him not being a ‘perma-captain’ option anymore and starting to look for other options. Swan in his usual fashion went ahead and gorged himself on the rest of the game. Finishing with a total any coach should be happy with! Justin Westhoff – 121 – Can Westhoff keep up this average? Pumping out massive scores and adding an extra 121 to his total. Who knows if and when if this bubble will burst, but in the mean time I think we’re all enjoying the ride. 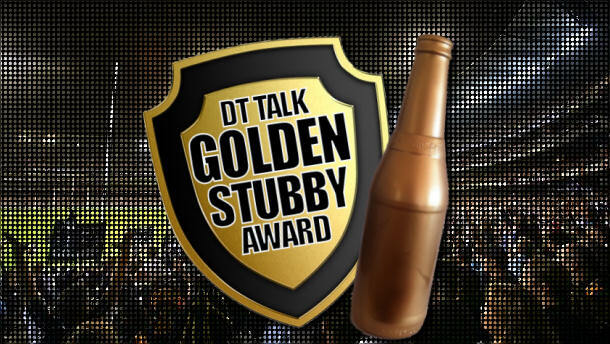 Cast your vote below for the player most deserving of this rounds Golden Stubby. +1, I was going to vote for him and then he wasn’t there! 154,140,121 in his last 3…….. that is mental! Unheard of as a Forward! i don’t give a f#@k what you want, people can vote for whoever they want. This is this WEEKS golden stubby, the hoffs previous rounds don’t count and he only scored 121 this week. Birchall is more deserving based on this rd. So right Jeremy! Should base it on the round! I’m betting that most people will be doing the viney-Evans trade this week. hey guys, just wanted your thoughts on my team. probably a bit late to jump on the Hoff train. was going to do that a couple of weeks ago, but went for the cash cows instead of the potential points. so go the mitchell to evans then macaffer to mayes trade then? Birchall for me. I was lucky enough to pick him in both of my ESPN Footytips teams, and he’s helped both secure a top 100 ranking. Just wish I grabbed him in DT and SC too! I’m also loving K Cornes & Westhoff in Elite too. I’m assuming the people that are getting Evans already have Mayes. I’d certainly go for Mayes before I’d go for Evans. It’s a similar situation to what happened 2 weeks ago with Heppell vs Birchall in my opinion. You have a player that has just come off a game against an easy opponent (Evans and Heppell) so their average is distorted. Then you have a player that has two fairly consistent good scores that were scored against decent teams (Mayes and Birchall). That week I traded in Birchall instead of Heppell after some deliberation and since then Birchall has scored 73 points more than Heppell and increased in price by $20300 more. What I’m trying to say is, don’t get sucked in if a player gets a massive score against lesser opposition, the chances are they won’t be able to replicate that kind of scoring. One other thing, Brisbane are playing Melbourne this week at the Gabba, so these 2 will be up against each other. I’m expecting at least 20 more points from Mayes than Evans…at least. I still have to get rid of Varcoe (due to three injuries the previous week) and Viney is arguably my next worst player. Trading them to Evans and Mayes leaves me over $800,000 cash – which seems absurd. Is it correct to keep taking rookies for their cash generation potential given opportunities will likely reduce soon, instead of season-long top-scorers? Well the plan is to be able to field a full team of 22 premos after the byes. So I’d say you’d want to be trying to collect as many rookies as possible without damaging your scoring output. If you’re happy with how much your team is scoring at the moment then go for both (especially if they are replacing Viney and Varcoe). Rookies will definitely drop off soon. You’re probably going to need to have a team price increase of at least $3,000,000 by the bye rounds to be able to field a strong team. So far I’m just below $1,300,000 after 2 rounds which is probably about the average. I’m definitely looking for more quick growth though, so I’m trading in Rowe and Mayes this week. Voting purely based on score and not taking in consideration of value, position ect is stupid! if it is purely based on score what is the point in having this topic? we already know who scored the highest? we dont need to vote about it? Hate me but Swan should not even be named here this week, More deserving players from this round than Swan. Yeh swan is such a consistent lege d but think to the start of the year he was priced at an average of 130… Not hating. I scored 2182 this week with JPK spudding it up. I want to trade him out this week, 1 trade already locked for a doughnut. I have JPK to I went to swan yes didn’t start with him… I have Ablett and he is probably the best option in my opinion he is still averaging 110 and will only lift that IMO. Tex Walker and Heath Shaw swapped out for either Heppell/Rockliff or Birchall/Rioli. Thoughts? Im not sure what to do with trades this week? I was thinking of upgrading K.Mitchell to A.Swallow, and Downgrading S.Jacobs to M.Leunberger. Don’t trade jacobs, non playing rookies & waters much bigger problem. You missed the boat on Berger anyway. do u reckon its smart to wait another week or two b4 upgrading a rookie to a premo, and this week trade mitchell to evans and lamb to mayes??? Yes, as I believe there will be a lull in rookies at some point. Although, you have quite a lot of cash and are a premo down, Kitchel to Swallow still a solid trade if you are worried about points. To Bring in Cornes or Westhoff? Can’t bring in both as im culling Vlastuin and haven’t got any DPP mid/FWD + Def players. Thoughts? I had no choice not bringing westhoff in. Had too many lemons in the team to deal with. Fair call though. I think my FWD-lineup is stuffed anyway, thought It would be a good idea to slip cox in there. useless crumpet. All part of first time blues I guess. Is Cornes likely to be able to keep that performance up against top tier opposition. PTA have had an incredibly easy first 4 round draw, the hardest opposition they faced was adelaide. Also Is it worth hanging onto Vlastuin any longer? He hasn’t got a game so far. Bring in Kornes. You have missed the Hoff train. Unless you think Hoff is a premium keeper. yeah u missed the hoff and i would be trading vlaustin out for mayes or evans if you have him in the mid and if you have him in the backs trade him for pittard, heath, stevenson or terlich. I only have one of those blokes, but I think Birchall is the most deserving, Kudos to everyone who picked him ( I was this close). Yes Anthony, I am very happy with K.Cornes’ performance on the weekend. He faces the piss poor WCE midfield this week so he should ton up again…I hope. Birchall for the stubby, saved me! On another note, which option do you reckon I should go with lads. or do i jump on birchall now before he rises again leaving me with 70k in the bank? Selwood trade would give me $14,300 left. Hartlett would give me $107,200 left. Birchall would give me $12,300 left. If i wait on JSelwood i may not have the cash to get him in the week after? depending how scores go?